Singapore – It is difficult to put limitations on art because anything and everything can be considered art, especially when displayed in a museum. 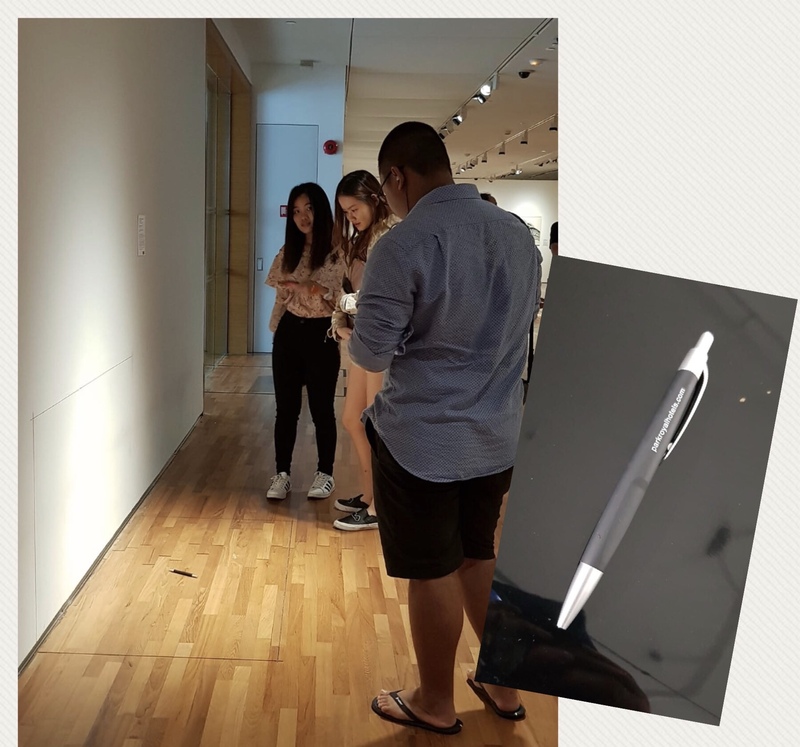 Singaporean Jack Sim tested the boundaries of art when he placed his pen on the floor of the National Gallery in Singapore. The same man responsible for the World Toilet Organisation, an advocacy group promoting “one of the best, cheapest medicines out there” that was featured in Nas Daily, Mr Sim went on Facebook to share his latest experiment. Mr Sim placed his pen on an existing exhibit called 5’ x 5’ (Inched Deep) which is a blank square measuring 5 feet by 5 feet drawn over the space of a wall and the adjoining floor. Netizen Paul Bradley shared a similar experience he had in a museum in Washington, D.C. involving an empty white canvas in a frame which he thought was a replacement while the original painting was being cleaned. It turned out it was a real work of art worth millions of dollars. Before the pen was the glasses. The New York Times reported the story of two California teens who were unimpressed by some of the exhibits on display at the San Francisco Museum of Modern Art and thought that they could take things up a notch. A pair of Burberry eyeglasses were placed on the floor. Within minutes, the eyeglasses had its own admirers. The teens merely added a placard describing the theme of the display and did nothing else.